Here’s how it would work. Google is always tinkering with their first page of results. They learned long ago that a quality search engine focuses on delivering the most relevant answer first, and users expect relevancy in results. To keep the quality of the search engine up to Google-standards, they must continue to hone in on the science behind the searcher, and the science of the results. The “searcher” is the person who logs a query into a search engine, and waits for results. The more relevant the results to the user, the more likely they will return to use the search engine again. This is a common theme in user-centric design and the basis of all UX. Whatever the user wants, they get. Before Google had won search, they made this a top priority; learning as much as they could about the searcher so when they search, the results are more relevant to them, and they feel satisfied with the search engine. This “science of the searcher” had a bonus effect for Google. They were able to translate the user data into their advertising service, enabling advertisers to leverage user data to create hyper-targeted ads. It is because of this data that Google (now Alphabet) is now the most valuable company in the world. But that is only half of the equation. Humans are naturally resourceful creatures, and web developers eventually realized that Google used specific metrics and characteristics of websites to deliver the “best” or most relevant results. Google needed to find a way to control the quality of all the websites in search results. But how? How do you control a billion websites? Especially websites that were actively engaging in “black-hat” techniques to rank higher in search results. The answer was simple: remove them from search results. Not entirely, but maybe push them down to page two or three. Pages that rarely get clicked. Now you understand how Google controls the quality of their search. The first page results get all the prime, qualified users clicking through to their sites, and the second page gets the scraps or nothing. Mostly, nothing. Google is still tweaking the factors that go into their search results. Every six months or so, Google will change up the importance of the factors that dictate the first page results for specific users. If you’re a webmaster or marketer, you’ve seen these dips in organic traffic. Most aren’t major, but some can have a tremendous effect on your business. At the end of the day, Google is just a bunch of (smart) humans with a machine. They must measure their results of their tweaking, just like any other project manager. The metric they use as the success rate for this tweaking is the number of people in a control group (think A/B test) versus the number in the testing group. 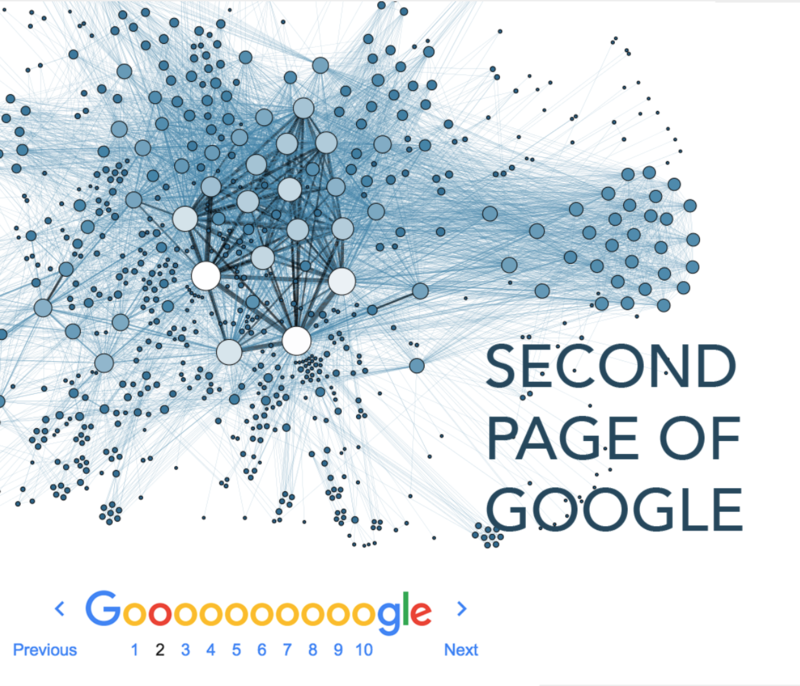 If, during an algorithm test, the control group clicks the page one results 95% of the time, and the test group goes to page two 20% of the time, Google would take notice. They would notice that something was wrong, and the first page of Google would change. That alone is interesting, but what I think is an even more interesting change would be if the second page of Google became more authoritative. What if the premier search results were on the second page of Google? Would more searchers go there? How does Google measure algorithmic changes? Honestly, this is probably all heresay. I’m just assuming Google uses A/B testing in algorithm changes. Besides, at this rate, the first page of Google will all paid results in the near future anyway.